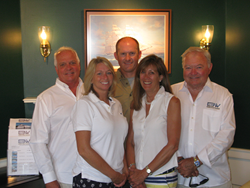 Essex Boat Works, LLC (EBW) was purchased in February of 2016 by Richard (Rick) E. Carlson of Essex CT in an effort to preserve a very important piece of Boating and Essex history. The property is owned by Carlson Landing, LLC, also owned by Carlson. Since circa 1800, Essex Boat Works has held the same tried and true name and services of building and repairing ships, yachts and boats. 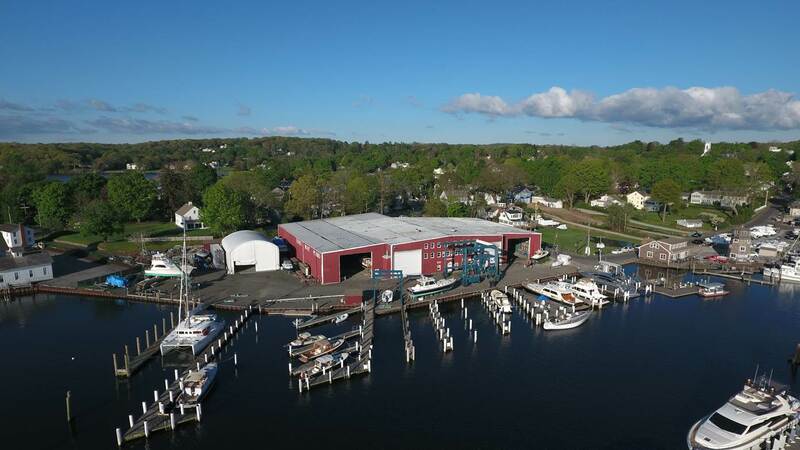 Under the new ownership, the boat yard boasts some exciting new improvements- beginning with the highly desired addition of the only 100 ton lift on Eastern Long Island Sound, formation of a yacht sales and brokerage division and expanded service, slips & storage. EBW is passionate about preserving a piece of nautical history while providing a boost in jobs and increased sales while servicing boats of all sizes, classic to modern, power and sail. Essex Boat Works is proud to bring together a strong management team, beginning with Diana Gregory, who is on-board to oversee the operations of the business as Controller. She brings with her over 25 years of Business, Finance and Customer Service experience. “We are excited to have her as part of the team; her commitment and energy level is inspiring”, says Carlson. Along with Gregory, Bob Jarrett will take the helm as Director of Sales and Marketing/Managing Broker, Bob brings to the team a lifetime of sales leadership and product development experience with a variety of boat builders and brands ranging from Grand Banks to Hinckley. Jarrett has represented hundreds of families in the purchase, management and sale and of their boats while holding positions in Connecticut, Newport and Florida. The third key member of the management team at EBW is Yard Manager, John Lewis, with over 30 years’ experience in the marine industry, having the ability to perform all facets needed in the profession. Lewis brings a hands on approach allowing him to optimize his knowledge of each customer’s boat to ensure customer satisfaction. Office Manager Donna Dean will maintain her customer relations and operations role. “We know that our team’s focus and attention to detail will serve our customers with the highest level of satisfaction,” says Gregory. EBW has retained a tremendously skilled staff with hundreds of years of combined experience as shipwrights working with wood, composite, fiberglass, aluminum and steel construction. Adding rigging, mechanical, electrical and other services creates a one-stop yacht service yard. One of the oldest remaining shipyards in the country, the location of Essex Boat Works dates back to the War of 1812, where the building of the U.S. warships were performed. Located in the heart of the historic Essex Village, CT, EBW continues the legacy of top-notch customer relations and professional services including; slips, storage, service, full-service brokerage and more. 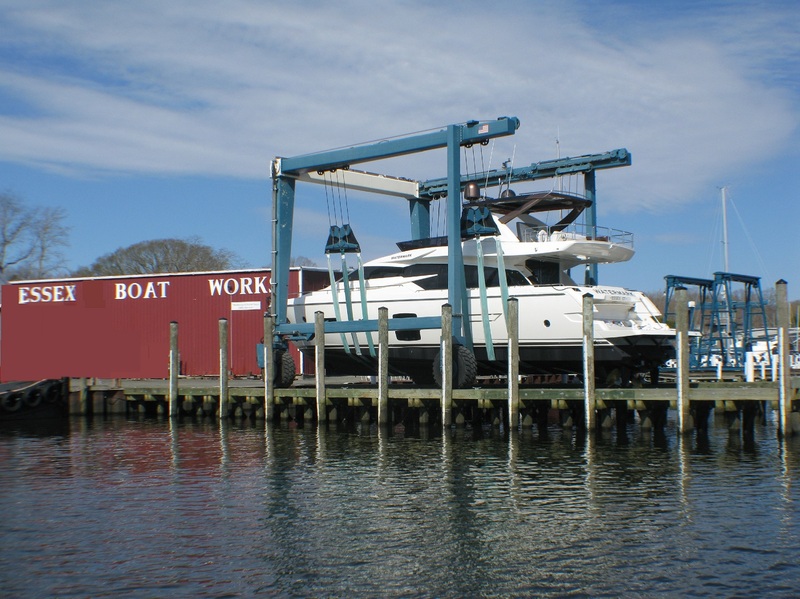 Essex Boat Works, LLC provides the Eastern Long Island Sound’s only 100 ton lift serving the commercial boat market and large pleasure yachts. For more information visit: http://www.essexboatworks.com or call 860-767-8276.